Paul Bergman is the founder of Studio Paul Bergman an Amsterdam based studio for design and art direction, focusing on building character for ambitious clients and projects. Since the start of the studio in 2014, Paul has worked for a wide range of clients; varying from a start-up coffee brand, cultural institutions and corporate organisations and agencies like Clockwork and Vice. He also likes working on self initiated projects and creative collaborations like for example his flagging project ‘Ode to a Permanent State of Identity Crisis’ and the book ’Metamorphosis’. 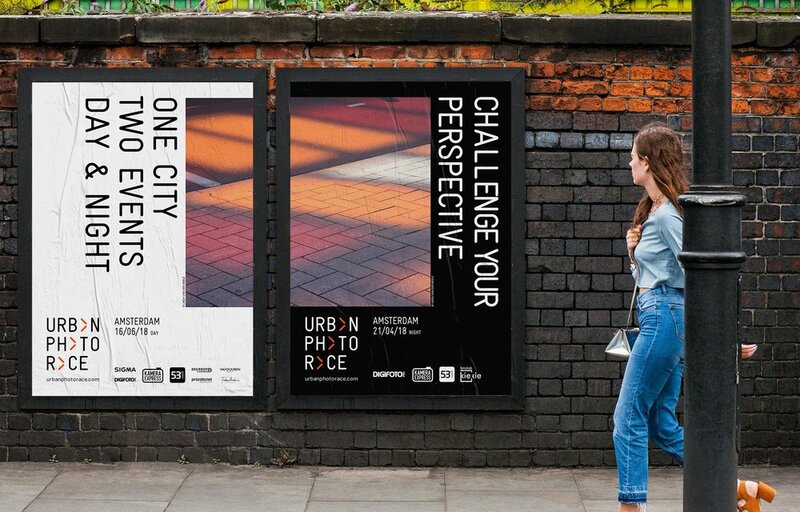 Most recently, the studio rebranded the Urban Photo Race. Before we get into the Urban Photo Race rebrand, can you tell us a bit about yourself? I grew up in and around small towns in the east of the Netherlands where I used to skateboard, be in a punkband and hang out with friends. It is during those years of creating band photographs, logos, t-shirts and demo covers that I started to develop a passion for branding and design. I went on to study Graphic Design in Zwolle. After graduating and moving to Amsterdam, I worked at a creative agency for a several years where I learnt to create brand identities, work a team and deal with multiple clients. For three years now I have been working as an independent Designer and Art Director with the aim to grow into a multidisciplinary design studio working with passionate clients. Why did you get involved in the project? I always loved street photography, and I used to do alleycats (urban cycling checkpoint races), so the concept of Urban Photo Race really appealed to me. Also, hearing from Luis and Tiago about how and why they brought the concept from their home town in Portugal to Amsterdam, I could see how passionate they were, so I knew I had to get involved. Before you started working on the new visual identity, you participated in the event as a photographer. How was that experience? Did it inspire the work you did later? I participated in the Amsterdam 2016 race together with my younger brother, which was a great experience. Do you know that feeling of going though the canals by boat the first time? Your whole perspective of the city changes. I had the same feeling doing Urban Photo Race, it literally made me view the city though a different lens. Being able to do the whole race, taking photos in themes and experiencing UPR’s growing community, definitely helped and inspired me to create the new visual identity for UPR. Can you take us through some of your thought process, and what the new identity means? It all started by taking a closer look at the definition of the words: urban, photo and race. The three words are all very powerful and recognisable on their own, and as a combination they communicate very clearly what the race is about. We knew that these three words should form the starting point of the identity. For the typography, we selected a typeface that resembles street signs and road markings. By adding three distinctive red arrows, we turned the entire logo into a flexible design system that expresses the dynamics of city and the movement and changing perspectives of those participating in the race. Besides that, we also focused on celebrating the UPR community by including participants photographs within all visual communications. This meant we were able to showcase their photos publicly, creating a sort of street exhibition. Can you draw our attention to a small detail in the design that you think really expresses the spirit or idea behind UPR? We purposely spread the participants’ photographs across multiple posters, so that the posters work individually with dynamic crops of the photos, or when many are pasted together, the photographs are seen as a whole, and create a sort of street exhibition. This idea of new combinations and connections really captures what Urban Photo Race is to me: challenging your perspective. How do you see this platform growing? In which city would you really like to see it adopted? 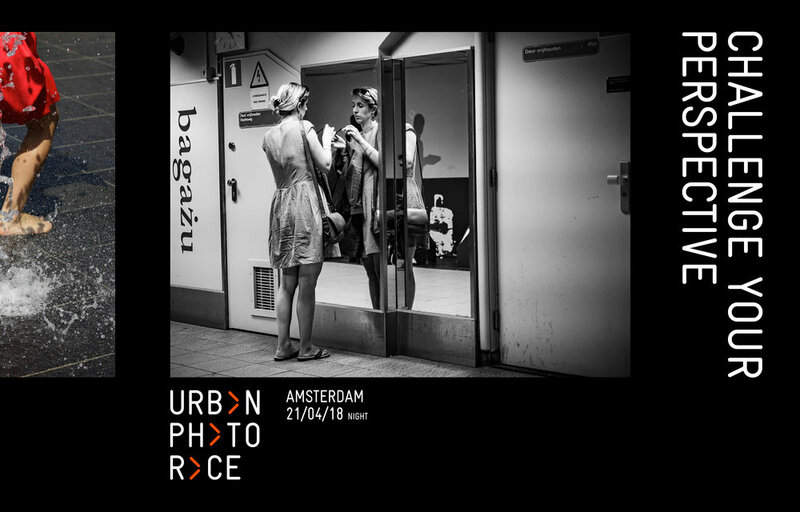 I really think Urban Photo Race has potential to become a leading photography platform. It would be great to see more content being created for and by people who love photography. It is great to hear that after Amsterdam and Rotterdam, a buzzing city like London has now been added to the racing list. Personally, I would like to put Tokyo on the list. I would be so curious to see the photography results of a metropolis like Tokyo with such a varied yet unmistakable recognisable urban environment. Do you have a project that needs some good looking graphics? Then check out Paul's work and get in touch with him.